An exciting First Release of one of the newest from the famous Phal. Ld’s Bear King progeny ! 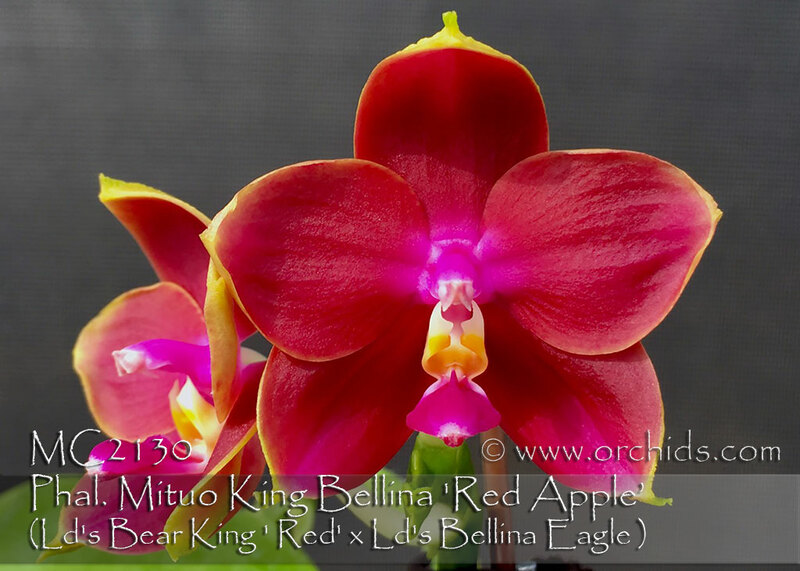 This is a limited Stem Prop producing electric red waxy fragrant flowers, the result of an abundance of some of the best parents used in today’s breeding programs coming from the famous parent, Phal. Dragon Tree Eagle, for fragrant long-lasting displays in brilliant colors. Limited and Very Highly Recommended !